Accountants love reducing costs, Sales people love more leads. If you want to know how to do both, carry on reading, If you however prefer to join the 50% of businesses that fail within 3 years, or the 91% of businesses that receive no search engine referrals every day, say things like the article is too long and I did not read it. TL DR. We discuss 10 ways to reduce web design cost and get a return on investment. Here is the best way to reduce costs. If a website is paying for itself it is cheaper than one that does not. Pretoria web designer, Imagimedia offer web design that generates leads, getting a ROI. We believe reducing website design cost cannot be achieved by penny pinching. As in all things that a business spends money on, it must bring a ROI. Spending money on marketing that does not work is a nett cost of sales. Spending money on marketing that does work brings a Return on Investment. The former is always expensive, even at cheap prices, the latter is always cheap, even at high cost. Today 1000's of people are going to choose the cheapest web designer, because they have a limited budget. The website they will buy will end up in the outer reaches of cyber space, destined to be visited by the web designer, the site owner and a few friends. 91% of web sites will never get one search engine referral. 4% will get less than 10 a month. Rather than do this take out a classified advert in the news paper. The odds are you will get a better return on your investment. Reduce website design cost by not having a website. I have heard that there are businesses that reduce web design cost, by not having a web presence and somehow they muddle along. Some do such great work that word of mouth is enough to keep the sales rolling in. This tactic however has it's downside. People are largely unwilling to refer companies because, yes, they did a great job, but if I refer them and they make a mess of your job, you and I will end up in a disagreement. I like you too much to end up fighting because someone else did something wrong. It is harder for any business to get positive reviews, than it is to get negative reviews. If people are happy they tend not to say much, but if they are unhappy, boy, do they get loud. Web design cost is not limited to the web design, there are domain fees, SSL fees and hosting fees. You can get free websites, free hosting and you could have a domain like freesite.yola.com. That web address marks you out as someone that is too cheap to pay for services that are considered essential. What else are you willing to cut corners on? I have also never seen a Yolasite or Wix subdomain ranking high on the search engines. The question you need to be asking is, are you serious about your business? You can use one of the 1000's of templates available and create a free website in a few hours on websites like Wix and Yolasite, The downside is that they will be wanting you to spend some extra cash on a domain, on a add on to allow SEO et al. The downside of this is that you will need to spend hours learning how to set up the new templates and the plugins required to make your web site a success. Shouldn't you be spending your time doing things that actually earn money, like installing a kitchen or doing quotes? Free is never Free on the web. It's a known marketing tactic to give away something free to draw you in. You will also never be in total control of your site, You cannot transfer the site elsewhere, because Wix and Yolasite own the infrastructure your website is on and using. I see people on the web advertising web sites for only R 299.00. I did some sums and running my small business needs around R 18 000 a month, before any profits, before I get a salary. It can be done cheaper, I allowed for a car payment, some insurance and other non essentials like coffee and tea. I also allowed for equipment upgrades and so on. Every website requires a domain registration and hosting. At the cheap end of the scale a wholesale domains cost around R 95.00 a year. If the R 299.00 includes a domain and then hosting for a year, the gross profit on such a website is less than R 200.00. The only explanation I have is that the advertiser is employing bait and switch tactics. If they are selling websites at R 200.00 profit, they would need to sell 90 a month just to stay afloat. so call it 180 a month to earn a smallish salary as well. Logistically building 180 websites a month for a one man business is impossible, even at only one an hour. It takes more than an hour to make decisions about the design. If your web designer is not running a profitable business he won't be available when you need to make some changes, or renew your domain in a year. Building web sites is not rocket science. There are kids in school that can do it. Over the years I have heard prospective clients telling me that their niece/nephew did a web design course at school, they will do it for a couple of hundred ront. web design is the easy part, 91% of all web sites get no search engine traffic because people don't understand that design goes further than putting a brochure on the internet. If kids leaving school can do this stuff, anyone can. HTML and CSS are not impossible to learn. There are thousands of help files and tutorial online. In 1996 when I started learning web design, I had to buy books, the stuff on the web didn't exist, I even created some content over the years teaching others to design web sites. It took a few days to build my first website, HTML was simpler, tables were the way to do things back then. Someone introduced CSS and it became marginally more complex. As I said earlier, designing the website is only a part of the job, the complicated stuff is learning how to get results. Over half of web sites built by amateurs are not mobile friendly. So you buckled down, ordered a domain and have found some cheap hosting, Now the time has come to put something on the web. Wordpress makes it easy, it takes minutes to install and adding content is as simple as filling in a few forms. Remember that 91%? Most of those sites use Wordpress or something similar, They use free themes, templates to you and me and have amateur content. I have been trying to tell you that saving pennies is a bad idea. Not one of these things so far have done anything to reduce website design costs. No matter how cheap an idea, if it doesn't bring results it's a website design cost you don't want. Saving money on web design cost should be looked at from the perspective of ROI (return on investment). If something is a nett cost to the business it's a bad investment. A website that cost 15 hours in labour, that brings no results is a nett cost. Time is money and that 15 hours was thrown out with the bath water. The best way to reduce website design cost is spending more money, but spending it where it counts. The website design is only a part of the picture. Here at Imagimedia, Pretoria web designers, we know that function beats form. we know that designing for designers is folly. Keeping it simple and getting results are far more important. Web sites not designed to incorporate SEO, not designed to get results are not worth having. It is better for any business to use sale tools that work. Spending money on fripperies that don't drive sales is not worth it. Did you know that one of the most successful web sites online ever has very few design elements, but it has great content and answers the prospective buyers questions. Content drives the web, Google loves great content. The average web page on the top of the Google search engine results page(SERPs) has 1890 words on it, The average web page on the SERPS focus on a very specific subject. 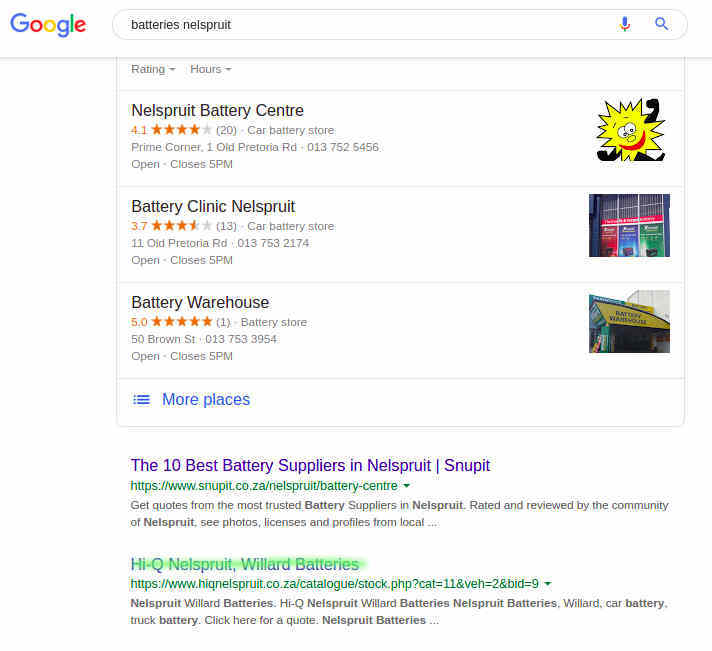 The average website on the SERPs is easy to read, easy to scan and offers better content than all others for that subject. Content creation includes creating great headers, great title and meta tags and including video, images that build on the content, not compete with it. I took a break from web development and started doing wood work. My business got too many leads for me to cope with, I was turning away customers because I focused my efforts on Search Engine Optimisation. I printed 5000 flyers in 2016 and still have about 500 left. I advertised in the Homemakers fair for a month and got not one query. I stopped that dead, at the price, I wanted at least one sale and not one call wasn't gong to do it for me. From around May 2017 to the day I closed the business in December 2018 I did very little to my web site. I added 3 blogs but when anyone searched for Pretoria Kitchens I was right there on the top of the SERPs. I took down the website at the beginning of March because I was still turning away 5 - 6 people a week and couldn't find anyone that was willing to compensate me for the leads. I have one website on the top of the SERPs after only 6 weeks. Search for "webwerf ontwerp pretoria" and "soek masjien optimalisering", Admittedly those keywords were easy to compete for, but still search for them and check out the site. My other website is already on page two for "web design Pretoria north" and page 1 for "costs of web design Pretoria" and "affordable web design Pretoria north" also "free seo report Pretoria" Find the page and click the link for pretoriawebdesign.net.za, have a look around the site and see why I am shooting up the rankings in less than two months.